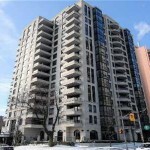 38 Avoca Avenue condominium, completed in 1998, is a high-rise 17-storey building containing 122 residential suites, built on a former site of the United Church headquarters. The development includes also 18 townhouses on Pleasant Boulevard. 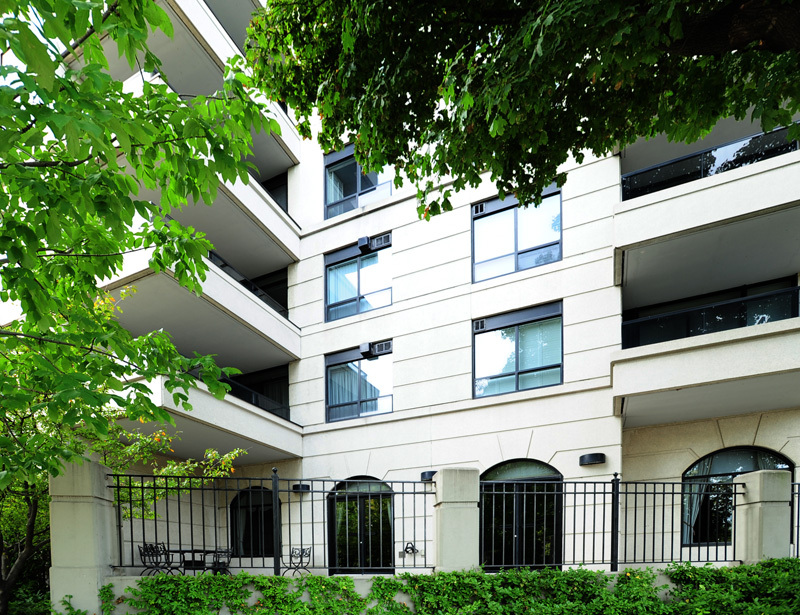 Located within walking distance to subway and outstanding shopping – dining at Yonge and St. Clair, and to great walks in the ravine. Suites range from about 639 to 2281 sq ft, and in 1, 2 and 3-bedroom size. Most of the units have open balconies. Ceiling heights are 9 feet, and the elegant residences feature crown mouldings and fireplaces in many of the units. The views are outstanding, particularly from east, north-east, south-east, and north facing suites. Pets are restricted. 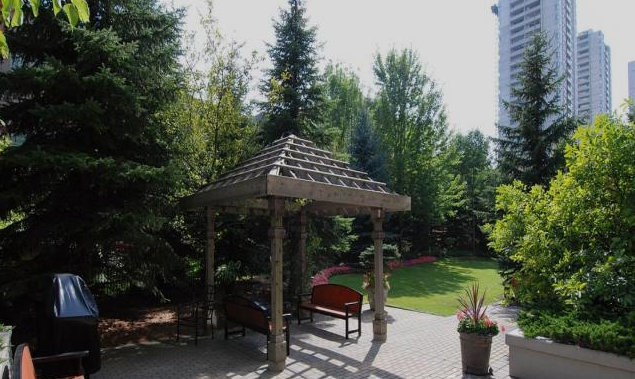 Amenities include concierge, exercise room, visitors’ parking, library, card room, lounge with bar and kitchen, and landscaped courtyard with gazebo and barbeque. 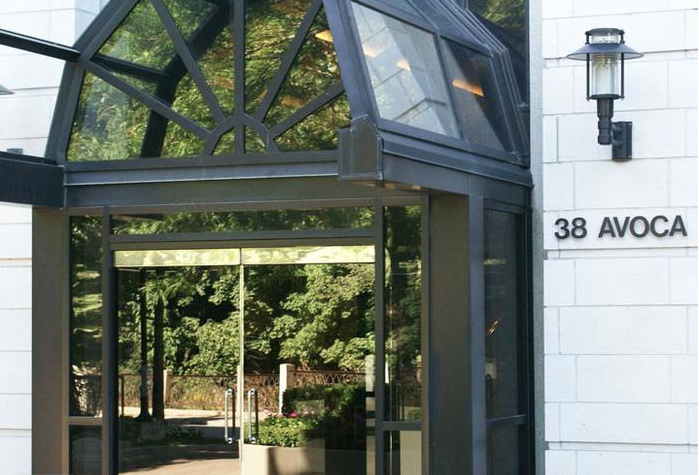 Building is managed by Brookfield Residential Services (416-513-0482). 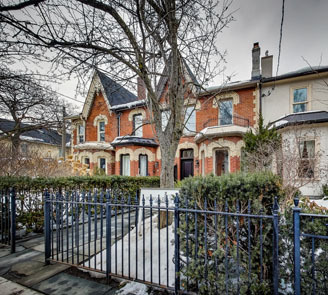 For more Information on 38 Alvoca Avenue, please fill out your contact information below!